Niels Smidth, atop the Morning Glory trailhead, in Central California. 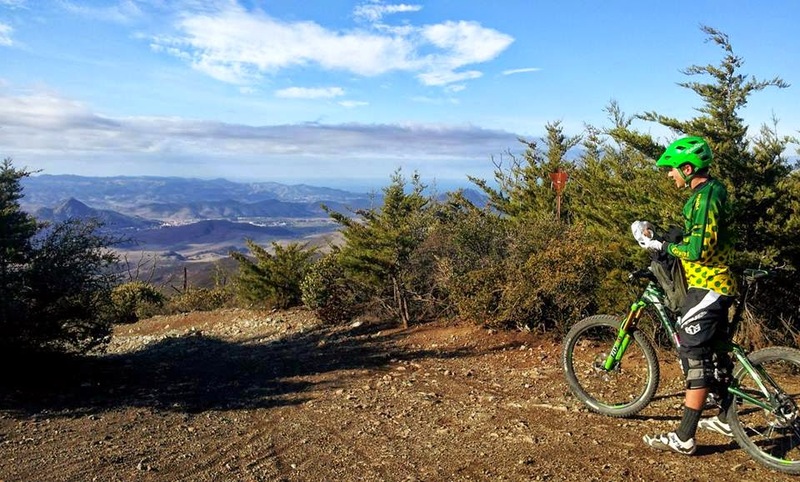 In an attempt to become well acquainted with the 2014-15 Cal Poly San Luis Obispo Wheelmen community, Niels Smidth marks the seventh rider spotlight. The following information was provided as a set list of questions that Smidth answered with detailed insight. All responses are unedited. I’ve been on the Wheelmen since my Sophomore year, which makes this my fourth year on the club. I think I’ve met some of my best friends in this club, mainly because cycling attracts lots of interesting people that like to do fun things outside. I love cycling because it makes me feel awesome (I am an endorphin addict) and keeps me healthy, it takes me to places I’d never see if I wasn’t a cyclist, and it gives my brain a welcome break from being an engineering grad student. I started out racing road, but have transitioned more to mountain biking. I would definitely consider myself one of the now very trendy “all mountain” riders. I really like to go on several hour long rides with big climbs, awesome views, and fun descents. I enjoy every part of the ride, up and down. I still do love doing long “adventure rides” on my road bike though, as much gravel/dirt is included in these rides. I’m a big fan of West Cuesta ridge, I can get all sorts of different rides in. If I’m feeling like pedaling lots, I can go out on TV tower road for a long distance. If I want a fun descent, I’ll descend Morning Glory to get my fill of speed and rocks. I love how quiet it is out on West Cuesta. Being an old person who’s been around a long time, my primary concern is getting new people involved and also passing on the knowledge I’ve gained from being VP/President/Race Director. I’m currently in a country phase, so I’d go with Hank Williams Jr’s “A Country Boy Can Survive”. I pretty much listen to anything other than what the kids listen to these days. This is a tough one…. I enjoy SLODOCO lots, as it’s location is central to the start and finish of many rides. I would say my favorite restaurant to end a ride at is “Taqueria Santa Cruz” with a Lengua Burrito! I only allow myself to keep shaving my legs if I’m riding at least 4 days a week. I’m a huge fan of pretty much anything outside. I love backpacking/hiking and am getting more into fishing and hunting as well. I also enjoy trail running when my mountain bicycle is broken and I need a singletrack fix. I also like making pretty much anything with my hands: woodwork, machining, sewing, you name it. I love making things to use for cycling.